My TVB Artist: Charlie Yeung is an Angel"
The 39 year old Charlie Yeung Choi Nei became a happy new bridge yesterday as she wed the 43 year old Yau Siu Chi. The new couple became husband and wife with family and friends as their witnesses. Finally becoming Mrs. Yau yesterday, Charlie with a diamond ring tightly held on to her husband. Yau Siu Chi lightly kissed her cheek to express his love. He said that Charlie has always been his angel. Yeung Choi Nei and Yau Siu Chi's wedding took place at the Sentosa W Hotel. Yau Siu Chi is currently a private consultant for the Indonesia Travel and Creative Economy Department. He held a million dollar wedding to marry Charlie and even invited family and friends to Singapore to attend the wedding ceremony. Yesterday afternoon the new couple finally appeared at the hotel. They shot their wedding photos on the hotel balcony. Around 6PM wedding banquet guests gradually arrived. Hong Kong guests Gigi Leung Wing Kei, Angelica Lee Sinjie, Anita Yuen Wing Yi, Tsui Hark and others appeared. The new couple Yau Siu Chi and Yeung Choi Nei stepped out to speak to the press, with maid of honor Valen Hsu (Hui Yu Wan) by the bride's side. Charlie said that she was very happy and was especially grateful for friends who came to participate in the wedding ceremony. Some came from all over the world to Singapore. From the start of the wedding ceremony preparation she felt very lucky. How many times was she moved to tears? She said, "You know I am a crybaby, I easily cry. I have many touching moments." Actually Hui Yu Wan as the maid of honor was their promise, whoever got married first the other one would be the maid of honor. Charlie's father did not go to Singapore due to his age. She said that Papa wished their happiness and joy. They will return to Hong Kong for his tea ceremony, then to Taiwan and dine with family and friends there. She said that because her family was in Hong Kong, in the future she will live in both places. Did the proposal take place on Charlie's May birthday? She smiled and said, "I am not telling you!" As for a baby, she said that she and her husband had an understanding to take it naturally and not to have any pressure. Charlie was asked about the wedding preparation. Did her husband support her? Yau Siu Chi answered, "We have always supported each other!" What about Charlie attracted him? He showed his humorous side and asked reporters how much time did he have to talk? He said that they have known each other for 20 years, which could not be summed up in a few sentences. He said, "She to me has always been an angel!" As for the propose he declined to discuss, saying that it was their secret. At the wedding banquet Charlie changed and posed for the press with her husband Yau Siu Chi. Yeung Choi Nei's sisters Leung Wing Kei and Lee Sinjie attended the ceremony with their other halves. Gigi and Sinjie were the wedding banquet hosts for the first time and performed in dual languages, Gigi was responsible for English while Sinjie spoke Mandarin. They shot a video to be shown at the wedding banquet as a surprise for the bride, a memorable moment from the 4 sisters' past. Gigi, Sinjie and Hui Yu Wan even secretly rehearsed the song AT LEAST THERE IS STILL YOU (JI SIU WAN YAU NEI) to perform live. Gigi said that Yau Siu Chi respected Charlie very much. He was a humorous guy and only made Charlie and her friends very happy. Gigi's husband Sergio wished the new couple well. He even humorously used Cantonese to say, "Very happy!" 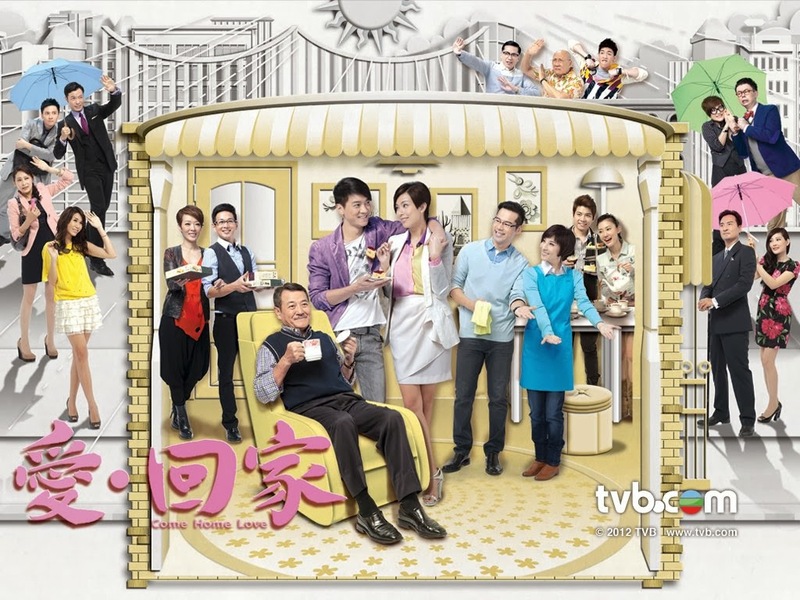 Lee Sinjie said that she was already moved to tears several times during Charlie's wedding preparation. Now she felt very happy to see how joyous she and Yau Siu Chi were; she also worried that they would be moved to tears from the beginning to the end of the wedding banquet. Yesterday morning Lee Sinjie attended the new couple's tea ceremonies with the elders. She said that the bride was moved to tears as well. They not only presented tea to parents but also Tsui Hark. Anita Yuen Wing Yi and Siu Mei attended the wedding together. She wished the new couple "together until they are old and gray, with their hearts forever joined together, it's very important to have a child soon!" When asked if Charlie wanted to have a child, Len Len said that with Charlie's personality, she chose to wed so she definitely wanted to have a child. She would not give any advice to Charlie. She would tell them to exercise more and get their bodies into shape for it. Siu Mei represented Aaron Kwok Fu Sing to present a gift to the bride, the diamond jewelry from the ad that he and Charlie worked together 21 years ago. It was very thoughtful. Sing Sing even shot a video to wish Charlie have two children in three years. Director Jacob Cheung Chi Leung was happy for Charlie and felt that the new couple was very complete; he also praised Yau Siu Chi as very nice; although Charlie was married, Cheung Chi Leung said that in the future they will still have many opportunities to work together. She would not quit. Outside the hotel was a large crowd of media, the hotel security was tighten even more. The hall where the banquet took place had the shades down to keep the venue from being exposed yesterday afternoon. All entrances had security posted. The groom's home did not have any special decoration, in line with the new couple's simple and low key style. Yesterday the bride pick up tradition also did not take place, but the new couple would have tea ceremonies with their parents. Outside the wedding banquet venue was a photo of Charlie and Yau Siu Chi in the water as the background. In the photo their smiles were filled with joy; the words "Because you have touched our lives with so much love and care." thanked attending guests. The venue was decorated with pink roses and purple flowers. Elegant and romantic, the venue also had a five tier white wedding cake. The wedding gift to guest was a crystal angel.